Evesham Township residents could be paying a little bit more on their regional school tax bill this year. The tentative budget includes an increase of $78.02 for an Evesham Township resident with the average assessed home of $270,472. The regional school tax rate increased 2.82 cents per $100 of assessed value. –Read Across America isn’t just for elementary school students. Earlier this March, students at Cherokee High School joined their younger peers to read a short book. Senior Rob O’Leary talked about the school’s Read Across America program during a presentation highlighting Cherokee’s accomplishments so far this school year. Students at Cherokee High School dressed up and read with first-grade students from multiple area elementary schools. O’Leary said the initiative goes beyond encouraging the students how to read. “The goal is to also introduce Cherokee to the younger kids,” he said. 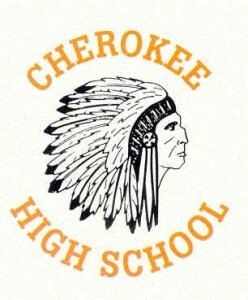 – The board of education honored Cherokee’s championship winning football team and marching band at the meeting. The football team won its second straight South Jersey Group V championship in the fall, while the marching band won the U.S. Bands Group 5A National Championship after coming in second place the previous four years. –A pair of late winter snow days on March 5 and 6 are having an impact on the school calendar. Superintendent Carol Birnbohm said graduation in the district has been shifted to June 18 because the school calendar has been extended to make up for the snow days the district has had this year. –In what has become a spring tradition, schools in the Lenape District have begun their fourth annual Give to Goodwill drive for 2015.